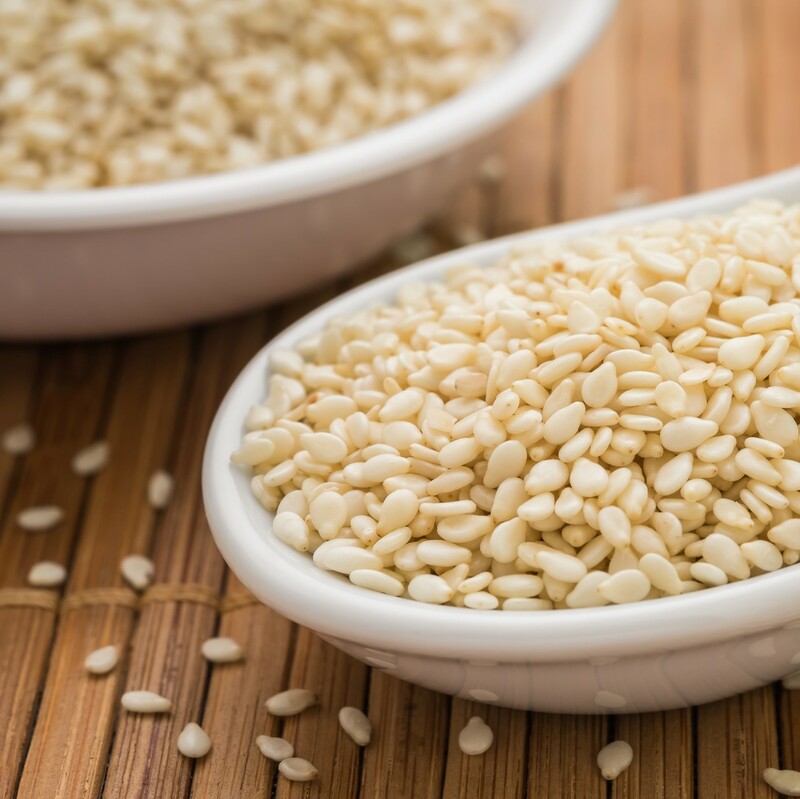 Sesame is considered a priority allergen by Health Canada. Priority allergens are the foods that cause the majority of allergic reactions. Sesame is a flowering plant that produces edible seeds. Sesame seeds can be creamy white or charcoal black in colour. Sesame oil is dark in colour and is commonly used in Asian dishes. An allergic reaction usually happens within minutes after being exposed to an allergen (e.g., sesame), but sometimes it can take place several hours after exposure. Anaphylaxis is the most serious type of allergic reaction. If you have a sesame allergy, keep an epinephrine auto-injector (e.g., EpiPen®) with you at all times. Epinephrine is the first-line treatment for severe allergic reactions (anaphylaxis). Read ingredient labels every time you buy or eat a product. If the label indicates that a product “Contains” or “may contain” sesame, do not eat it. If you do not recognize an ingredient, if there is no ingredient list available, or if you don’t understand the language written on the packaging, avoid the product. Watch for cross-contamination, which is when a small amount of a food allergen (e.g., sesame) gets into another food accidentally, or when it’s present in saliva, on a surface, or on an object. This small amount of an allergen could cause an allergic reaction. Bakeries can be a source of sesame cross-contamination because sesame seeds are used in the kitchens as a topping on many breads and buns. Sesame meal in poultry and livestock feed. If you believe you may have reacted to an allergen not listed on the packaging, you can report it to the Canadian Food Inspection Agency which may issue a product recall. Find out more on our Food Labelling page.